The Southern Coast is a land where live oak tress are draped with Spanish moss. Where the Capitol Cities have cobble stoned streets, manicured squares, pastel colored antebellum homes. The region is filled with charm and beauty, history that dates to the first colonies, people who speak with a proudly distinct accent and wonderful food mush of which comes fresh from the sea. Today, arrive in Savannah, GA for a three night stay. Dinner is on own this evening. Start with day with a Guided Trolley Tour of Savannah. Hop aboard the trolley and friendly conductors will narrate the tour with a fascinating and fun mix of trivia and humorous stories. The extraordinary architecture, lush botanicals, and captivating stories of this historic, coastal city make for an unforgettable experience. You will also have Hop On/Hop Off privileges for the rest of the day. You will also have free time to explore River Street, a glittering, multifaceted gem along the broad Savannah River. The century old buildings, once cotton warehouses, have been converted to antique shops, distinctive boutiques, spectacular galleries, quaint brew pubs, fabulous restaurants, unique nightspots, elegant inns and hotels. Bustling with welcoming hospitality, it’s also the place to see Savannah from the river that made her by taking a cruise or watching ships from around the globe sail into one of the busiest ports in America. This morning you meet a local guide for a tour of St. Simons Island. The largest barrier island in the Golden Isles, St. Simons Island lies across the immortalized Marshes of Glynn, made famous by poet Sidney Lanier. Moss-draped oaks line the winding island streets, creating a picture-perfect image worthy of a Faulkner tale. There will also be time for lunch on own and for shopping in the specialty shops and boutiques in the historic district. This afternoon you head to Jekll Island where you enjoy a guided tram tour. In 1886, 53 prominent American tycoons founded the Jekyll Island Club, and members created an exclusive gilded era island retreat on Georgia’s coast for their family and friends. These empire builders shaped our nation and likewise laid the foundation for Jekyll Island’s rich future. Step into their past and experience the legends firsthand with the history of the area. This 90-minute tram tour takes you through the 240-acre National Historic Landmark District, and includes entry into two restored cottages. Depart Savannah this morning and travel to Charleston, SC. On arrival, enjoy a horse-drawn carriage tour. Clippity clop your way back to the Colonial times with a horse-drawn carriage tour that reveals 300 + years of history including antebellum mansions, churches, and cobblestone streets. The tour is followed by free time at the Old City Market for shopping and lunch on own. It’s four blocks of open-air buildings where you will encounter a wide assortment of vendors selling high quality products including paintings, pottery, Charleston’s famous sweetgrass baskets, plus both casual and fine dining for lunch. This afternoon you will learn about Charleston’s fascinating history while you cruise the gentle waves of her harbor. Our knowledgeable and entertaining tour guides are licensed by the City of Charleston. You will see some notable American landmarks, such as Fort Sumter, the aircraft carrier USS Yorktown, Battery Point, the Cooper River Bridge, Castle Pinckney and other sites from the past and present. 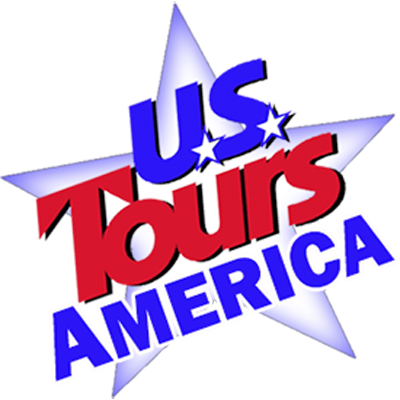 This relaxing and fun tour departs from Patriots Point. You will hear enthralling tales of the city’s colorful past as well as scintillating facts about her most-interesting former citizens.